Wow, I’ve been away from this blog for a year. Ever since I was appointed last summer to Tracyton, in fact! 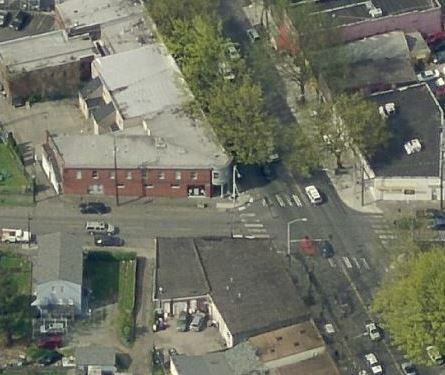 So, here’s the next Bird’s Eye View, snipped from Bing Maps, for your contest. It’s a United Methodist location in the Pacific Northwest Conference. I knew nothing about it until today, so maybe it’s news to you, too. It’s good news, though! To find the view, open Bing Maps, go to the area you want to look at, and click “Bird’s Eye” on the menu bar just above the map. When you find the right location, zoomed-in, you should see this image on the big screen. Now, click the Envelope icon in the upper right corner of the page (“Share”) to get the address of the view, and put the link in a comment below, in this blog, along with the name of what we’re looking at, and you’ll gain immortality, at least for a while, in cyberspace. OK, I checked out the conference news items from today, but no location was mentioned that could be this. We need another clue. . . . If you find the location, but can’t figure the UMC connection, you might want to check nearby UMCs’ web presence. That’s where Valley and Mountain meets! Ding, ding, ding, ding! Yes! http://bit.ly/ZqBg4Y for today’s news about the building.